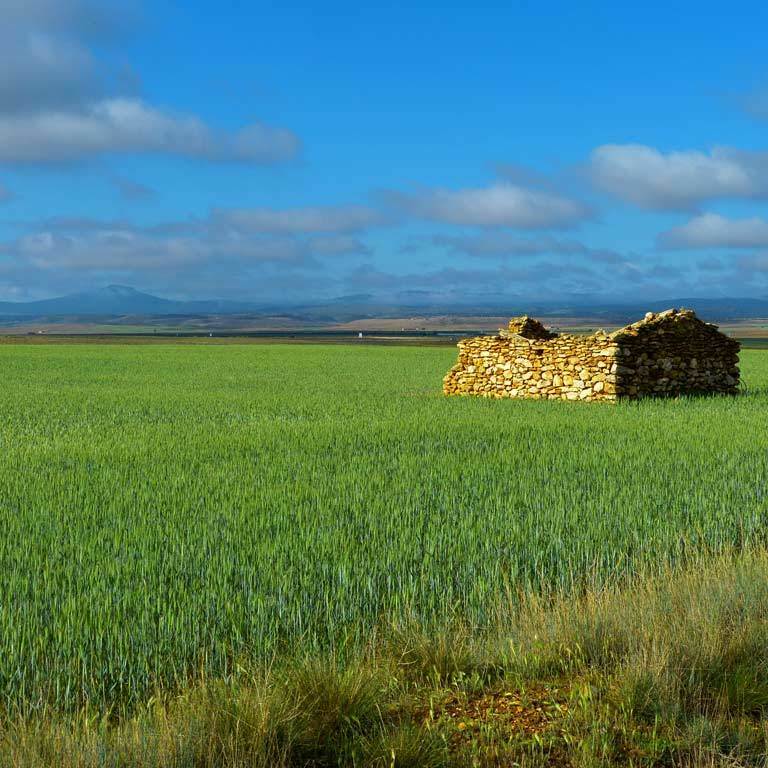 Noticias Ruta Camino del CID |'In the Footsteps of El Cid', the first Australian Camino del Cid travel book: a very useful guide for walkers! 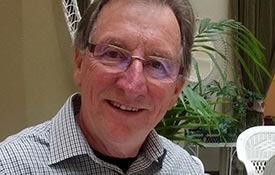 Ciaran Hogan is an Australian traveller of Irish origins who has traversed on foot some of the world's long distance trails, from the Italian Alps to the Kumano Kodo trail in Japan. In 2017, he decided to make the more than 17000 kilometre flight from his home in Hobart (Tasmania) to Vivar del Cid (Burgos - Spain) in order to walk the Camino del Cid, alone over a 40 day period. As a consequence of this experience he wrote 'In the Footsteps of El Cid', now the first Australian Camino del Cid travel book! It is a fun, entertaining and insightful book, and at the same time a travel guide with observations and advices that will be very useful for those interested in these territories, and especially if they want to walk the Camino del Cid. 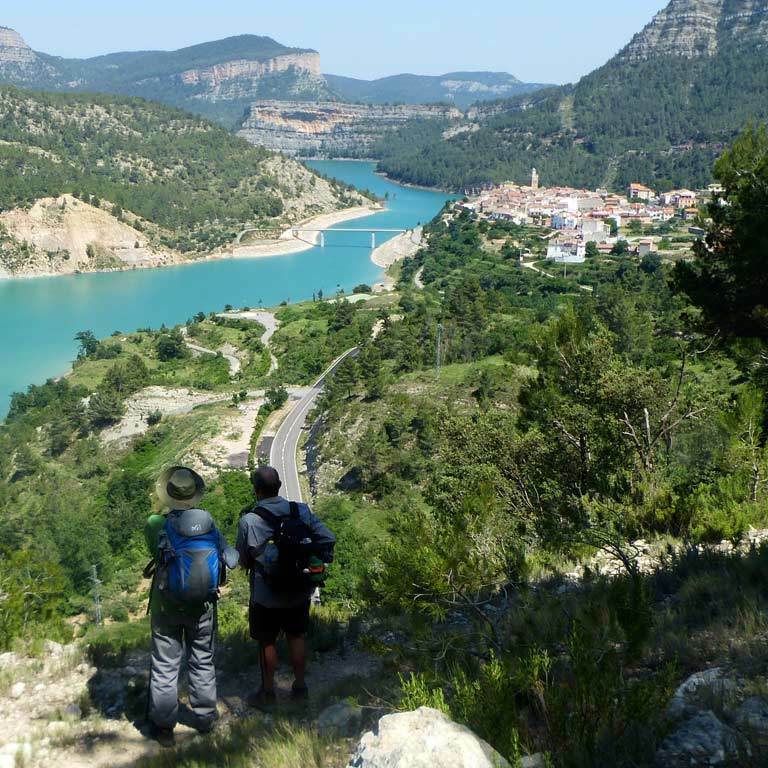 The author provides many details about his 40-day lonely walk along the route between Burgos and Valencia. We talk to him about his experience. I once asked a ninety years old solitary traveler what he did while he was walking alone along the 1000 km long Camino del Cid. He replied: "Chewing on life." What do you do while you walk? What kind of magic do you find in moving slowly for hundreds of kilometers alone? There is a simplicity, a peace, a fulfillment, to the daily repetition of walking from one place to another. Your mind is emptied of life's petty irritations, and you can see more clearly the beauty in the everyday world around you. For me, this kind of walking is both a pleasure and a mental necessity. What do you prefer, travelling alone or in company? Can I answer both? I do enjoy walking alone, the freedom it gives you to follow your instinct and feelings. You don't have to be consistent or rigorous in your decision making, as you do when another person's involved. But after a few days of my own company, I long for the variety and repartee that companions provide. What caused you to travel so far away from your country? Australia is not big enough for you? Australia is more than big enough, but Spain offers towns/accommodation/food conveniently located every 20 to 30 kilometres in a way that Australia doesn't. And it's somewhere different, exotic, welcoming! How did you know about Camino del Cid? By chance. 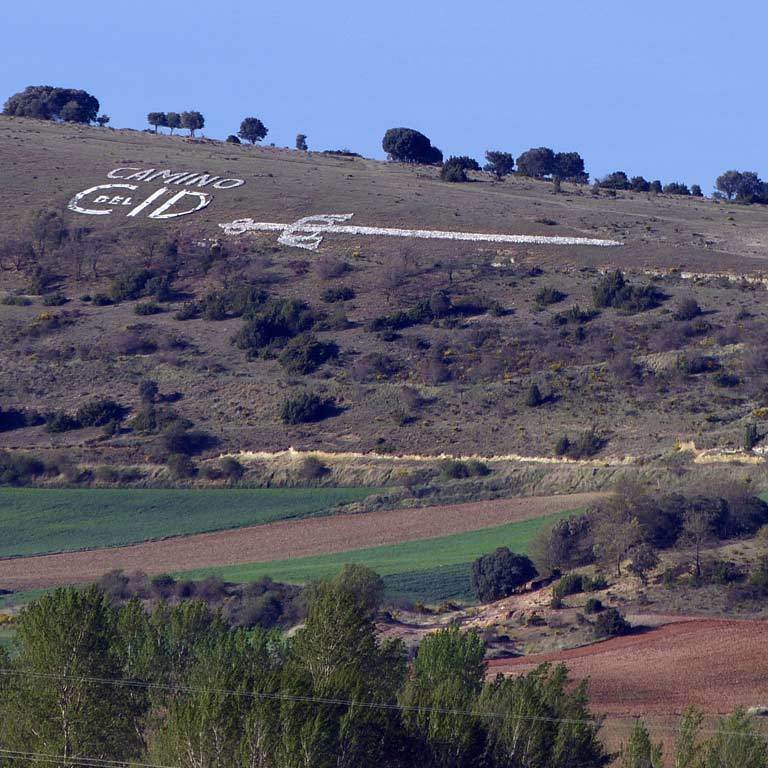 In 2014 I was walking the Senda del Duero and noticed a sign about a route called the Camino del Cid. When I looked for somewhere to walk in 2017, that recollection came to me, and then I found this website. 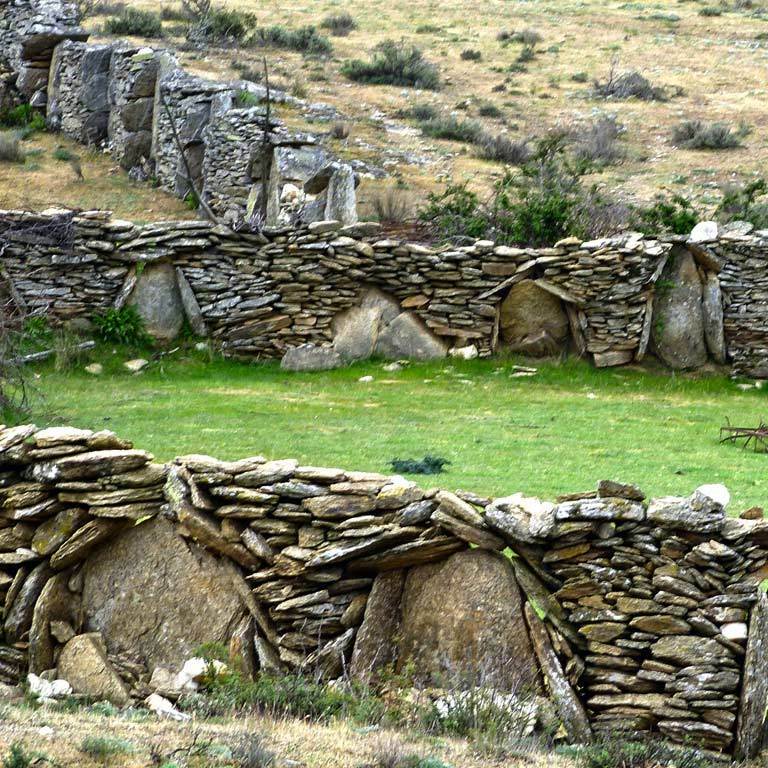 What did you expect to find before doing the Camino del Cid and what did you finally find? I was familiar with Castilla y Leon and the Duero valley. But from then on, apart from expecting a lot more hills, I would be in uncharted territory. I prefer to take it as it comes and be surprised by what I find. I wasn't prepared for the magnificent setting of so many towns and castles, the wonderful Mudejar architecture of Aragon, and looking down on the fairy-tale sight of Albarracin. Did you use our website? Do you know our English hiking guides? I certainly did use the website, initially to establish the route, get an idea of the profile of the trail and establish my daily stages, which didn't always coincide with your recommendations. I also used the individual town pages to learn of accommodation options, and make bookings where possible. However, when I started using the website in late 2016, there weren't too many pages in English. I am delighted to see how many more have been added since then. I am currently using your guide to “The Defence of the South” for my walk there in 2019. When doing the Way of el Cid, what are the most important problems a foreign traveller will find? There are really no great problems, only the ones that you typically encounter in a strange land, and overcoming them is all part of the experience. Language can be a significant barrier. So I would strongly urge the walker to learn as much Spanish as they possibly can, initially for convenience sake and after that for enrichment and pleasure. Accommodation in some of the smaller places can be in short supply, and only contactable via phone. Always have a contingency plan such as the phone number of a taxi. You may have to adjust your walking schedule to fit in with available meal times. If you can't arrive in time for a good sized meal in the early afternoon (typically 1330-1500), you will have to wait till after 2100. This can affect how you sleep and how early you can start again. Lara de los Infantes, Burgos. What would you highlight about your trip? It's a quiet and often empty terrain with vast horizons and big skies. And then suddenly these gems of castles and fortified towns unexpectedly pop up. 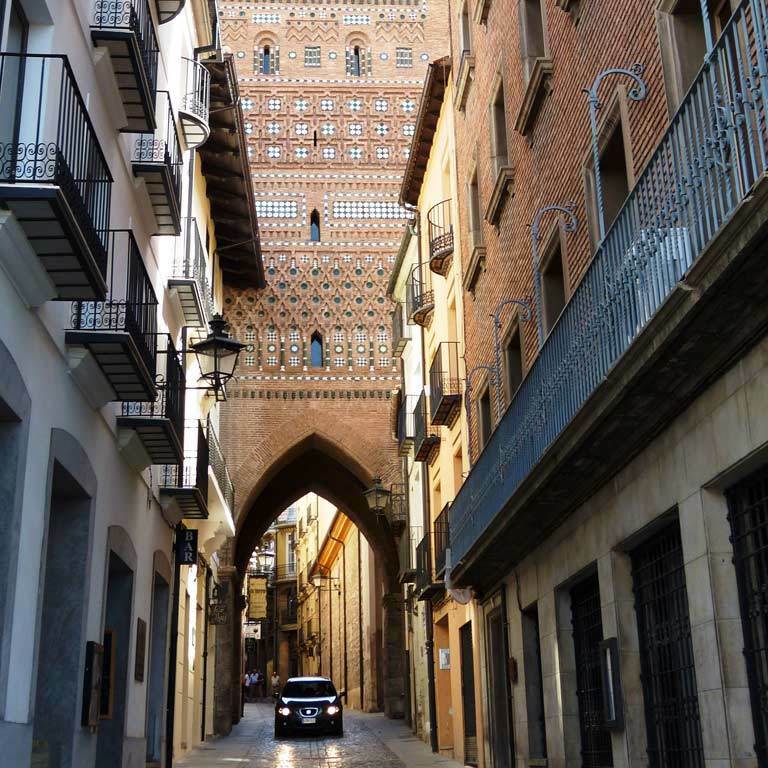 The route has this link to a vast history which, if you immerse yourself in it, can turn the world you see in front of you, with just a little imagination, into a kaleidoscope of fascinating panoramas. Learning of the era of el Cid, of the unexpectedly complex interactions between Christian and Moor, and seeing the remains of some of that architecture make the walk a fascinating learning and enlightening experience. What about the people you found in the villages? At a minimum, I always encountered warm politeness, but more often than not, it was a genuine joy that you had come to their part of the world. And if you can converse, there is a goldmine of conversations and friendships waiting in these quiet places. I never felt anything other than comfortable. Strangely, being a solo traveller draws people to you, where a duo or more can seem less approachable. Before coming, did you know something about the figure of el Cid Campeador? What is your idea about this character? I only knew the name from the famous Hollywood movie of the 1960s. Much of the material I sourced was in Spanish, and while I did try to glean some knowledge from those websites and documents, I only had a few English texts to help me. We all know that a little knowledge is a dangerous thing, and I fear that in my re-telling I may have done El Cid many injustices. But my education continues. Statue of El Cid, in Burgos. Why would you recommend this trip to other travelers? If you are looking for a walk that is well sign-posted, has food and a bed at regular intervals, that passes through some lovely country with fascinating towns and villages, that has more than enough history and historical sights to last you a lifetime, then this is the walk for you. There is lots of information available, - and lots more English translations added recently - on the Camino del Cid official website. The distances can seem a bit daunting, but it can easily be broken down into manageable chunks. The profile and route surface is not overly demanding. 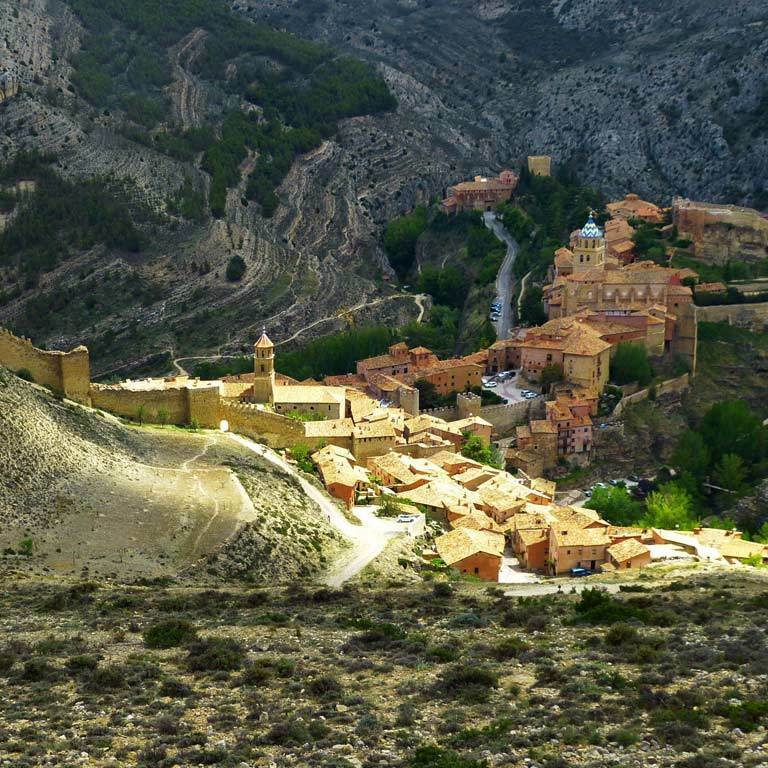 Even if you had never walked in Spain before, this walk is very 'do-able'. 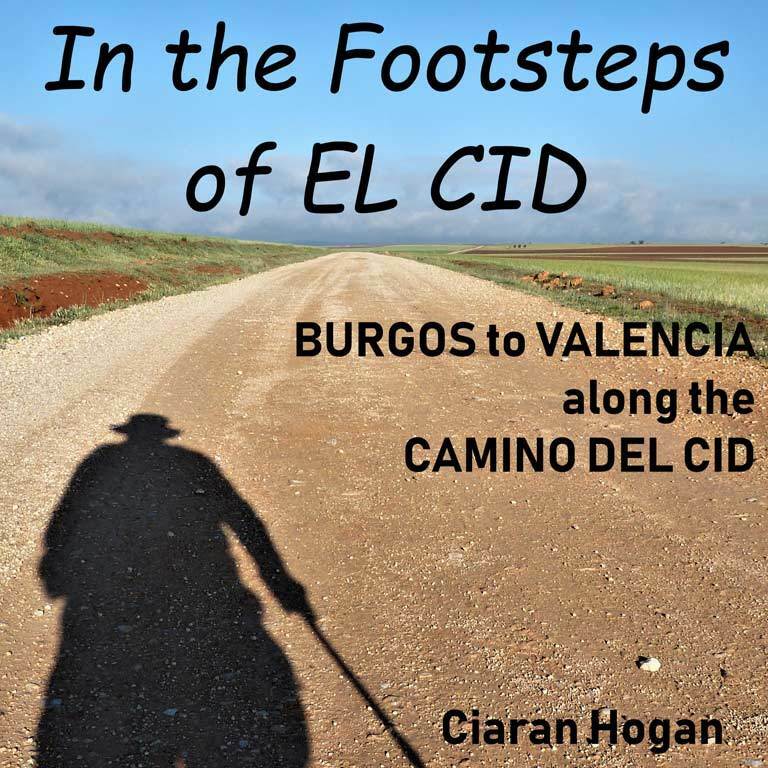 Your experience was so intense that you decided to write a book about the Camino del Cid: In the Footsteps of El Cid (Burgos to Valencia along the Way of El Cid). It is a book about your experience but it is also a travel guide. Please tell us about it. I didn't start off with that intention. I had promised my wife and and close friends beforehand that I would write a blog as a way of keeping them informed of my whereabouts and experiences. As it progressed I was encouraged to make a book out of it, and to especially include the history which they seemed to enjoy the most! I tell the story in the form of a daily journal, interweaving those experiences with my distillation of the history of that era. I wouldn't claim it as a guide book in the conventional sense, but more as a tale of one person's journey. I think it will appeal to armchair travellers, and I would hope it might also be an encouragement to those who are considering taking up the challenge. I would like to think so. It would be marvellous if it were to be joined by other books about this wonderful but still relatively undiscovered walk. I have published it, in electronic form only, on Amazon's Kindle eBook website. Here is the link*. *If you don't own a Kindle Reader you can download free software to mimic it. Before purchasing the book, click on Free Kindle Reading Apps, and then choose the link for your phone, tablet or PC.